From TV workouts to dancing on a night out, Sunderland's Charlotte Crosby has been giving her New Year fitness tips for a promotional video. Sunderland reality TV star Charlotte Crosby has announced she’s leaving Geordie Shore. Sunderland's star Charlotte Crosby has just revealed to her 2.8million Twitter followers that she is leaving Geordie Shore after five years on the show. The Geordie Shore star is known for her bubbly personality and fun-loving attitude on camera. Sunderland’s Geordie Shore star Charlotte Crosby has reason to celebrate this month as her birthday is just around the corner. Since joining the cast of Geordie Shore in 2011, Sunderland lass Charlotte Crosby has been thrust into the spotlight – but has it been for the right or wrong reasons? 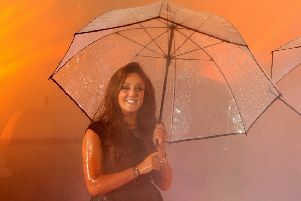 Charlotte Crosby has hit the headlines today after a wild night out in Sunderland.